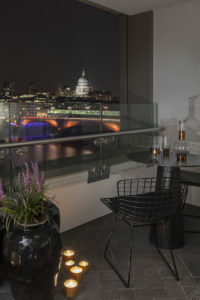 “No city presents such an untidy variety of forms, such a capricious mix of the beautiful, the ugly, the magnificent, the poor, the sad, the strange, the great, the dreary,” wrote Edmondo de Amicis in his magical Memories of London in 1874. The face the magnetic British capital continues to change, particularly in the arty, eclectic South Bank district, a theatre of industrial archaeology and projects that set the tone for the architecture of the future. The Mondrian London at Sea Containers has a fittingly fascinating history. 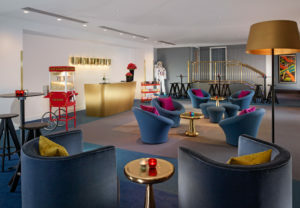 The boutique hotel is the product of an Anglo-American connection and a meeting of minds between award-winning designer Tom Dixon and the Morgans Hotel Group. 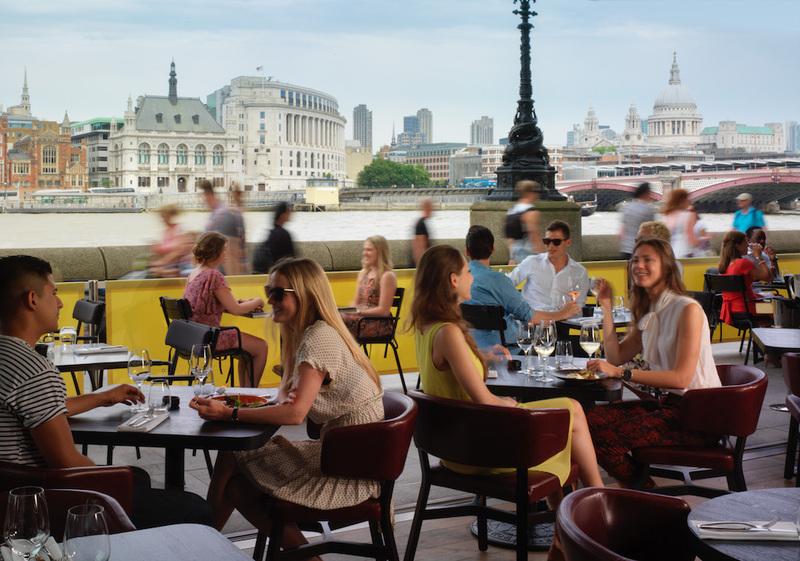 It all began back in the 1970s when American architect Warren Planter was commissioned to design a luxury Thames-side hotel for the South Bank. 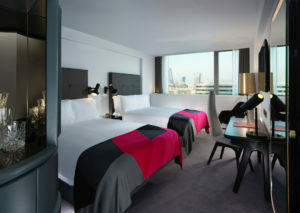 However, the project ground to a halt at a certain point and what should have been the hotel turned into offices instead. One of these spaces was occupied by the Sea Containers building from which the hotel takes its name. 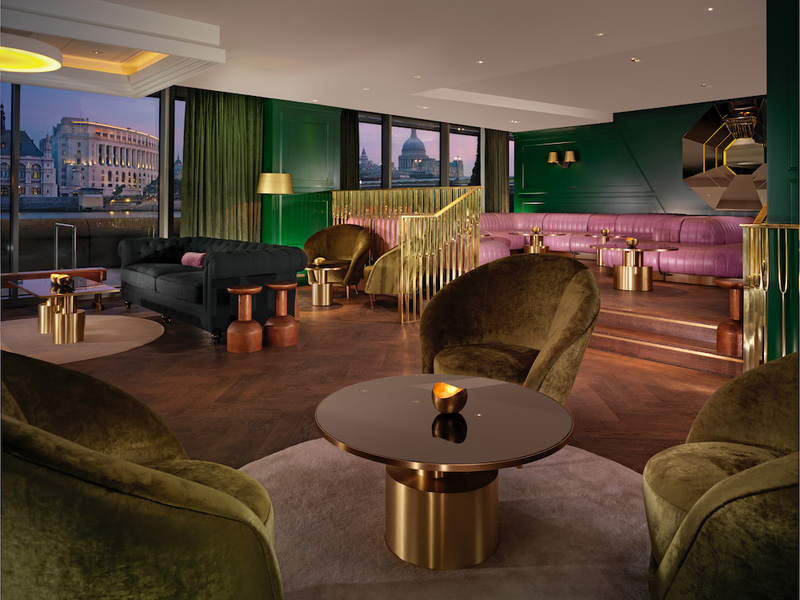 Planter’s building and his designs, including sketches for ships and yachts, provided Tom Dixon with the Design Research Studio (DRS) team with their starting point for their glorious conversion of Sea Containers House into a designer hotel. The startlingly original result was inspired by the glamour of the great transatlantic liners of the 1920s and proved Dixon right as the Mondrian has become a hotspot for chic Londoners on their nights out. 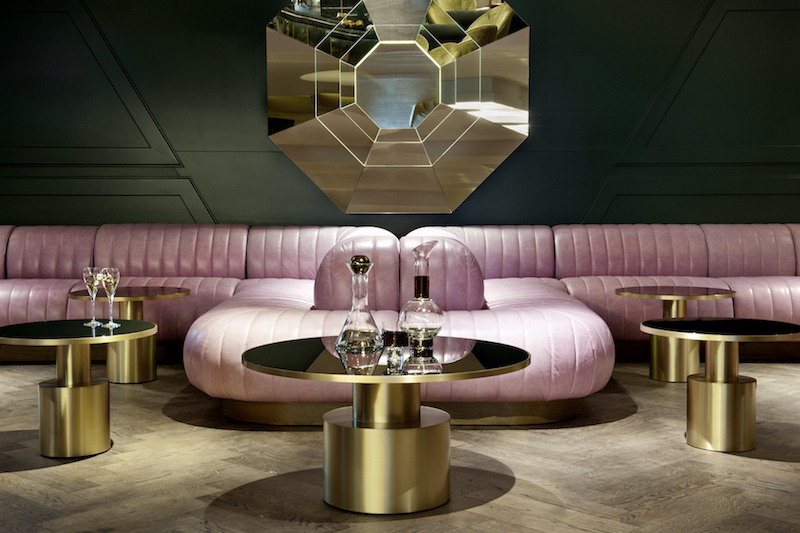 So much so, in fact, that its Dandelyan cocktail bar was runner-up on the World’s Best Bar list in 2017. 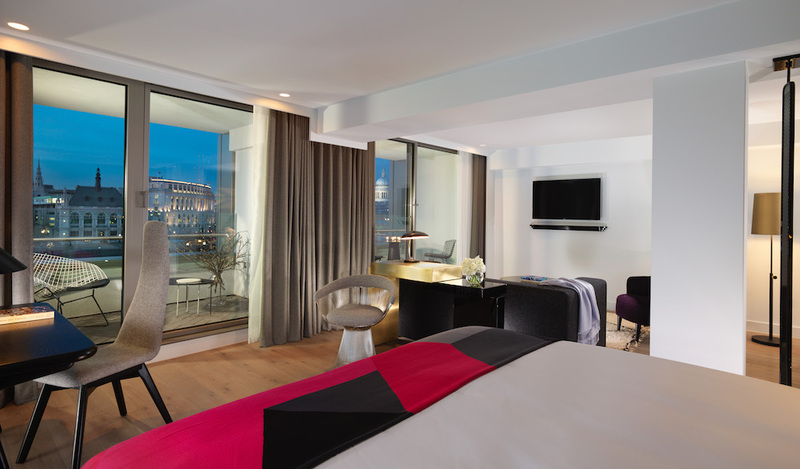 Located between the Oxo Tower and Blackfriars Bridge and very close to the Tate Modern, the Mondrian London stands out proud in one of the city’s busiest, buzziest areas. The Rumpus Room bar on the 12th floor has spectacular views of the iconic skyline and was reimagined in 2017 by Jacu Strauss as a kind of cross between the top deck on a yacht and an Art Deco ballroom with fuchsia and peacock blue seating. 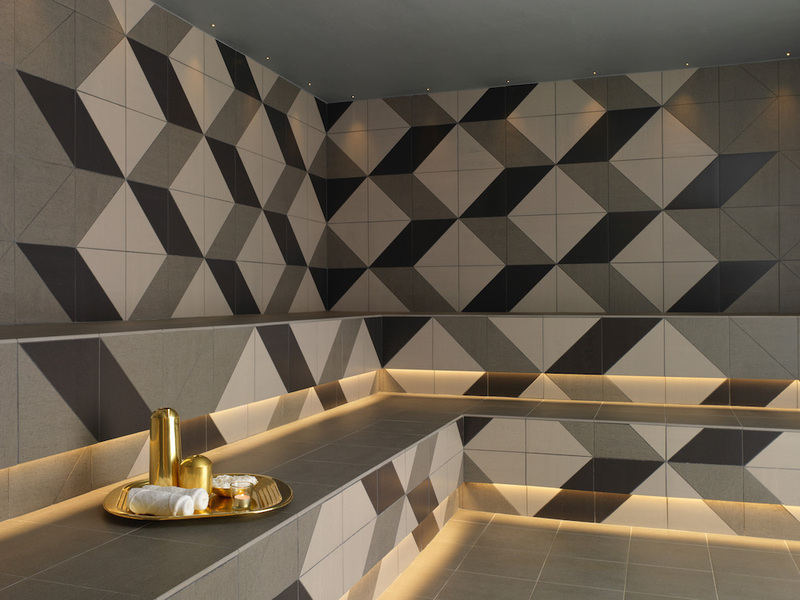 The transatlantic liner vibe of the exterior is positively turbocharged in the interior, providing a powerful visual touchstone. 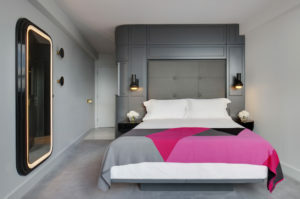 “We thought that the transatlantic liners of the golden period of cruisers was a fitting departure point, we wanted the rooms to have a feeling of a cabin, with everything fitted, compact and properly thought through. 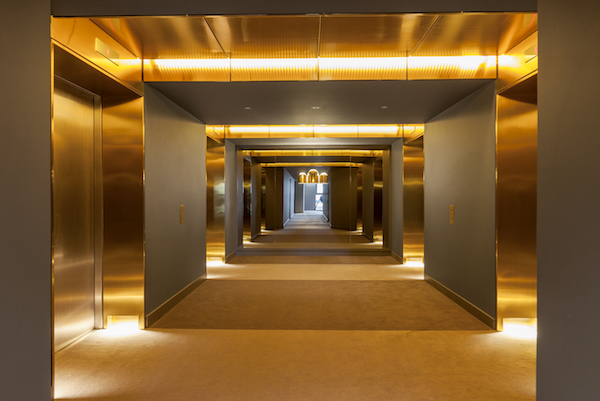 We made a massive intervention to the arrival sequence with a massive structure inspired by a ship’s hull piercing through from the outside canopy into the lobby and right through past the elevators into the restaurant, all clad with copper,” says the DRS team. 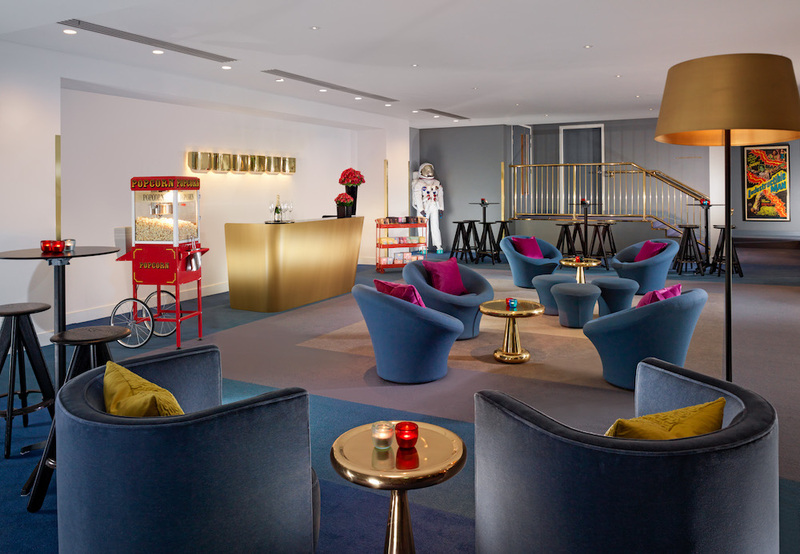 There is even a model of the Queen Mary, which plied the Southampton-Cherbourg-New York route from 1936 to 1967, in the lobby together with a giant blue anchor chain-inspired sculpture – another visionary touch from the London designer. Naval-inspired elements, such as bronze features and the porthole-like round mirrors in the bathrooms, crop up again and again throughout the hotel. Its 359 rooms share the same style of furnishing and colour palette (greys and wines). The River View Suites in particular really do feel yacht-like in terms of both ambience and views. 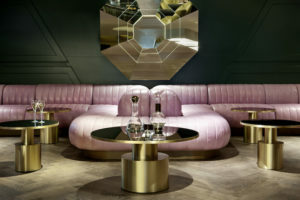 The furnishings are a clever mix of vintage, design classics, baroque and modernist. 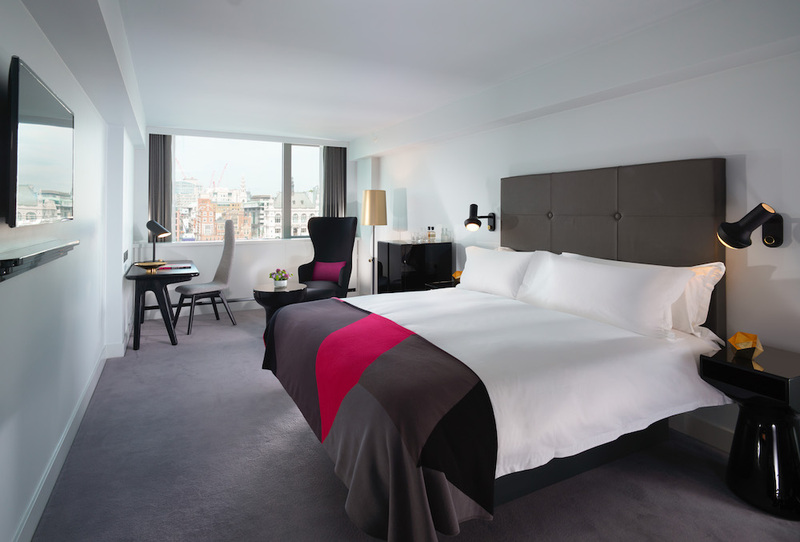 The wingback chairs, for example, were designed Dixon himself, while the River View Balcony Suite features another chair by the original architect Warren Planter. 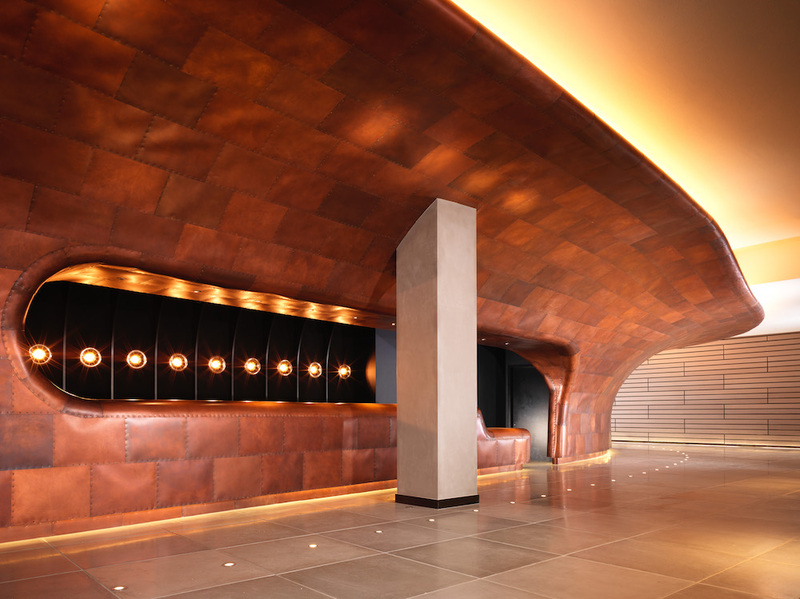 There is even art gallery on the ground floor of the Mondrian London which hosts exhibitions and presentations. 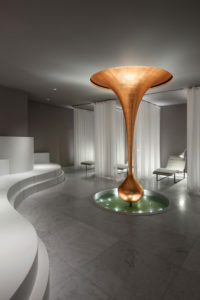 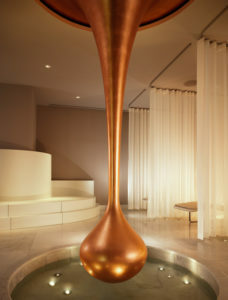 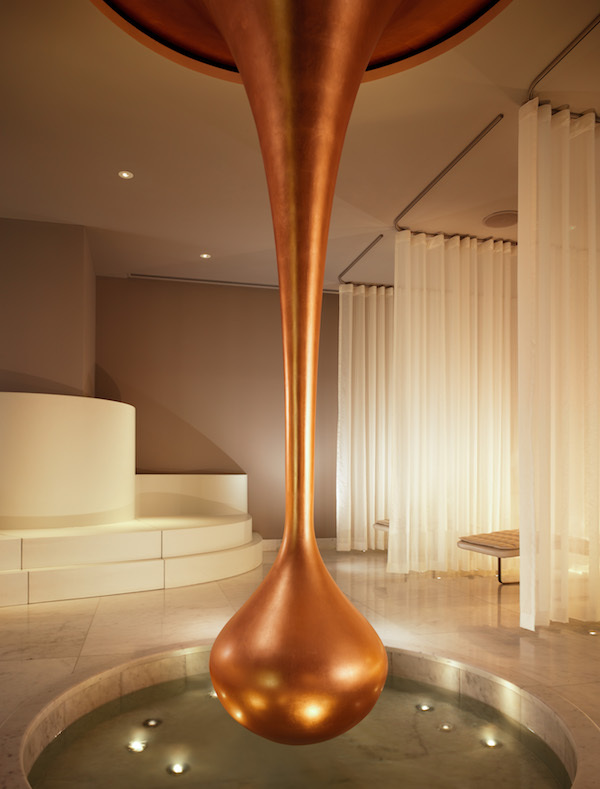 Beneath it again is the elegant agua Spa, also dreamed up by Dixon and dominated by an unusual floor-to-ceiling copper droplet-inspired installation. A note for your diary if you are still looking for an excuse for a stay at this gorgeous hotel: the London Design Biennale, which runs from September 4 to 23, takes place in Somerset House, which just happens to be around the corner from the Mondrian.